Metformin is a drug that helps to lower blood glucose and increase the body’s sensitivity to insulin. It’s used as a first-line treatment for patients with type 2 diabetes, and is also occasionally prescribed to women struggling with polycystic ovary syndrome (PCOS). Metformin reduces the amount of glucose that the liver releases and helps the body respond better to insulin. It can be used as a single treatment, or combined with others to tackle type 2 diabetes. Metformin isn’t a substitute for a healthy diet and exercise, as it’s normally only prescribed if these two methods alone haven’t relieved the symptoms and your blood sugar is still at a dangerous level. It should always be taken with food to reduce the severity of side effects such as diarrhoea, nausea, and bloating, though these often disappear within a few short weeks. Metformin is a medicine that’s used to treat and manage type 2 diabetes. It can also be used for the treatment of polycystic ovary syndrome (PCOS), although it isn’t licenced for this condition. However, the NHS and BNF both state on their websites that the drug is safe to use for certain symptoms of PCOS. In patients with type 2 diabetes, metformin is a first-line treatment, and helps to lower blood sugar by reducing the amount of glucose that the liver releases, as well as improving the body’s response to insulin. In PCOS, the drug has been known to encourage ovulation, reduce excess hair, and also improve the body’s response to insulin, as the condition can also make it difficult for the body to utilise the hormone in the right ways. In type 2 diabetes, metformin works in two ways. It reduces the amount of glucose released by the liver, and it also makes the body more sensitive to insulin. Insulin resistance in common in diabetes, and it usually means that the cells in the body don’t respond well to the hormone and making the body less able to use glucose in the blood. This in turn leads to high blood sugar – a hallmark of type 2 diabetes. By regulating these symptoms, metformin helps to manage the condition either on its own or when used alongside other treatments. As many women with PCOS also struggle with insulin resistance, metformin works in a similar way to those with diabetes, but it’s important to know that taking metformin when you have PCOS doesn’t mean you have type 2 diabetes. However, certain complications of the condition such as insulin resistance can put you at higher risk of developing it. Although it is currently unlicensed for the condition in the UK, metformin helps women with PCOS by encouraging ovulation and boosting fertility; something that is often difficult. Some GPs may refer you to an endocrinologist or gynaecologist if they think that metformin may be an option for you, but it’s rarely used as a first-line treatment for the condition due to the fact it is used off-label. It is also recommended that you take metformin with a meal to reduce the severity of the side effects, but they should subside within a few weeks of taking the medication. What are the risks of taking metformin? Some of the above symptoms can mimic the side effects of the medication, so if you’re feeling any of the above to an uncomfortable degree, it’s important to contact your doctor for advice. Other than that, metformin generally reduces risks of certain conditions, such as cardiovascular problems and obesity. Whilst metformin isn’t a weight-loss aid, it certainly doesn’t make you gain weight like some other diabetes medications. In fact, there’s actually some evidence to suggest otherwise. Will metformin cause low blood sugar? Can metformin affect my ability to drive? Effects of metformin shouldn’t affect your ability to drive. However, if you have diabetes, you may be required to report this to the DVLA due to some symptoms that the condition can cause. It’s also important to recognise if you’re experiencing hypoglycaemia as this can seriously hinder your coordination and concentration. If you think you’re experiencing low blood sugar, don’t drive or operate machinery until you feel well enough to do so. How do you take metformin? Metformin most commonly comes in tablet form, either as standard release or slow release. However, it can also come as an oral solution for those that struggle to take tablets. Metformin should always be taken with food, either a meal or a snack. If you’ve been told to take it 3 times a day, it might help to take it alongside your breakfast, lunch, and dinner. If you fall into any of the above categories, please see your normal GP for advice. Where can I get metformin? Any doctor should be able to prescribe the medication if you need it, and you can also buy metformin online from websites such as ours. If you decide to order through us, you’ll be asked to complete a patient questionnaire which will be sent to one of our doctors for approval. 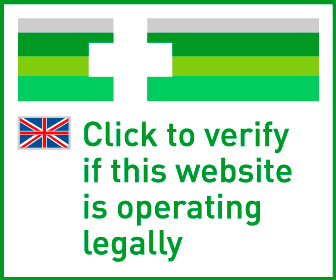 Make sure that any website you order medication from displays their regulatory credentials and are operating legally. A typical starting dose is one 500mg or 850mg tablet, twice or three times per day. Following a period of review, this may increased up to a maximum of 3000mg per day, again taken as three separate doses.